Very pleased to present a recent research article, which introduces our special issue for the European Sport Management Quarterly. 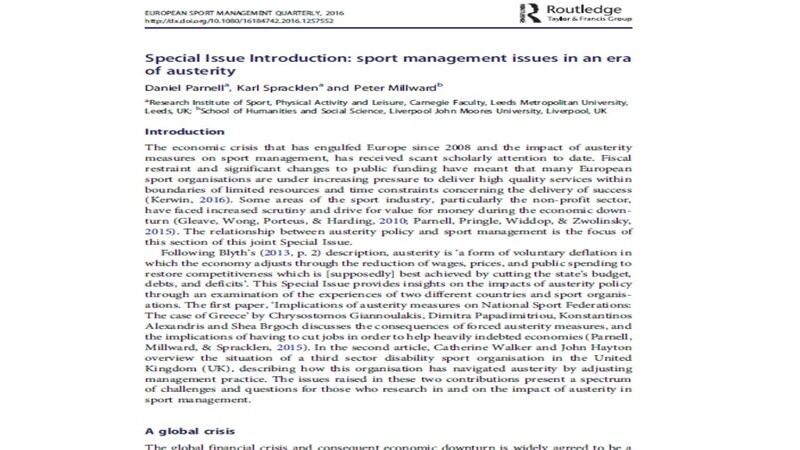 Together, with Karl Spracklen and Peter Millward we offer an insight to sport management issues in an era of austerity and an introduction to our special issue. Read the article here and access it on academiaedu here.